Welcome to this master class on testing the range of your voice. We will walk thought a number of vocal exercises that can help you gain valuable information about your voice. Your body is an instrument that amplifies the sound waves coming from your vocal cords. For lower notes, the sound resonates in your chest, much like your speaking voice. For the higher notes, the sound vibrates more up inside your head, hence the name the head voice, which is also called falsetto for guys. The break point is where the two voices overlap, and a choice ensues to use one or the other. We will start at middle C and work down to find the floor of our chest voice. When we hit the floor of our chest voice, the sound just stops coming out. Sometimes we might keep singing the same pitch no matter how hard we are trying to match the pitch. Some of the notes just before our floor may not sound good, but if the pitch is there don’t stop until we find that floor. Next we will move up the keyboard to find the top of our chest voice. There will become a moment when you have to start belting, which is what happens when you choose to use your pure chest voice for higher frequency pitched notes. Some people don’t have a belting option, they just flip right into head. That can indicate the top of your chest voice as well as the sound just stopping, or staying on the same pitch. Next we will explore an exercise to find the top of our head voice. If the pitch is there at all, those notes are in our range. But when the sound stops all together or stays on the same note no matter how much we are trying to match a higher pitch, than that’s our ceiling. Remember, even if it sounds bad, include your fringe notes, those are the raw pitches on the top and bottom of your range that are less used and hence can be pretty rusty. These exercises allow us to see where our lowest and highest notes are, as well as where they overlap. This zone is known as the break point. Because there is a choice in the break zone, it can be tricky to navigate, it’s where cracks happen more frequently because at times the body doesn’t know which to use, head chest, belting or even a blend – which is complicated and a subject for another time. When we are more conscious of our choices, you can then master our break zone. These exercises are about getting to know our voice so that we can master it. 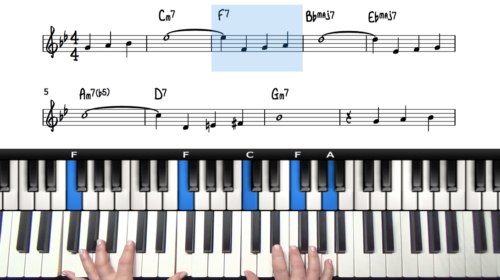 Using this information we’ll be able to make good decisions about the right keys to sing in. 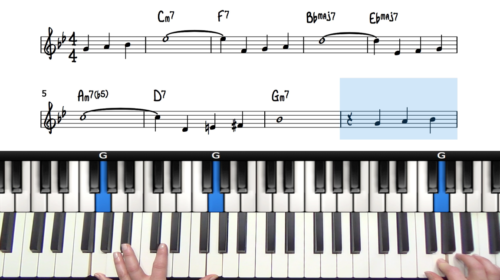 Remember – It’s not important how big your range is, but more so how well you develop the notes you have. Welcome to this lesson on adding fills when accompanying singers. 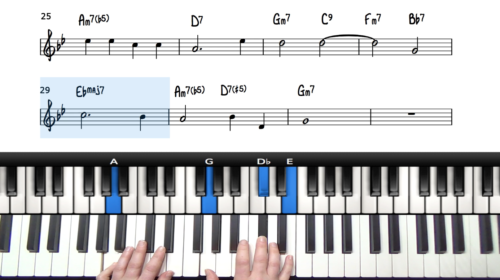 We will discuss the different accompaniment techniques when playing with singers. We explore the key elements of an effective accompaniment. We will discuss your role in terms of the melody, the harmony, and the bass. We outline the expectations of you as an accompanist and provide tips on working with singers to help them achieve their best performance. It's a good idea to do this range testing more than once to get a more accurate map of your vocal range. You can do it everyday for a week, or once a month, or different times of the day, and you can also use different syllables. For many people, the "La" sound is easiest, but not for all. "Oh" is another good syllable to try. If you did this exercise and found it hard to control which voice you use, that's ok. Many people find that to be true when first attempting these exercises. Awareness is the first step to gaining mastery of your voice, and this will have started you on that path. Your awareness will grow from here.